Written by Janet Choi on September 29, 2016 . It’s fall, folks. Kids are back in school, the heat is finally breaking, and if you find yourself near a Starbucks, the sweet smell of Pumpkin Spice Lattes is wafting through the air. The infamous Starbucks signature drink came back to menus across the country on September 6th. 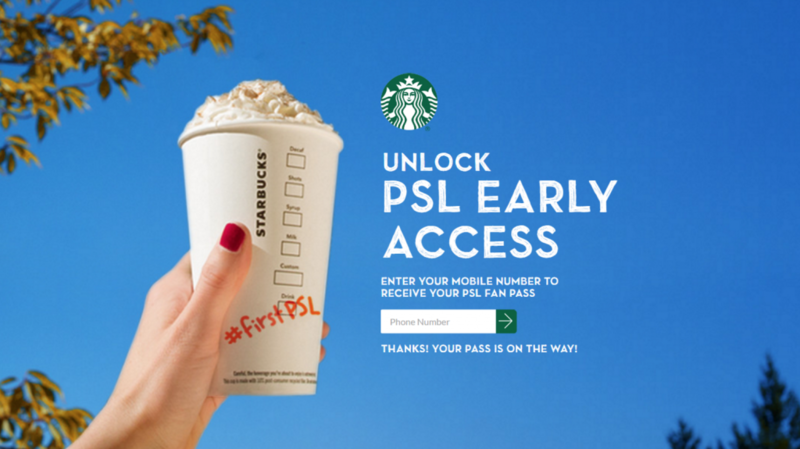 But for select customers, Pumpkin Spice Latte day came early: Starbucks sent superfans an early access code for the drink through a clever Short Message Service (SMS) campaign. SMS messaging isn’t just for big retailers anymore—everyone from on-demand economy startups and software services are using it as well. Why? It’s an incredibly effective means of communicating with current and potential customers: marketing SMS message click-through rates hover around 35%, over ten times the click through rate of marketing emails. And if companies follow best practices for incorporating SMS into their customer messaging strategy, it can be even higher. As with email, developing your SMS campaign is all about combining three key elements: relevance, timing, and a clear call to action. But while there are many parallels with email marketing, there are a few key differences worth highlighting, or you risk getting blocked. 1. Relevance: Is this valuable to the reader? In order to build a long and happy relationship between company and customer, tailor messages to customer interests as much as possible. This is doubly true for SMS, since you’re reaching a customer’s direct line. That’s why SMS should be reserved for really relevant messages to users, not a spray-and-pray technique. Finding a business-related message in your text messages is inherently less personal than a friend texting you, especially when it starts out loaded with industry jargon, the legal disclosure that “Messaging and data rates may apply” and the mandatory cancellation option (e.g., press STOP to cancel). That’s why a little humanizing personalization goes a long way, even just using someone’s name, or adding a conversational touch of personality or pleasantness. This SMS from 1-800 Contacts sounds human, not robotic, when they say “Thanks for sending your Rx.” It also wishes you a great day and uses the recipient’s name, much like they’re talking to an actual help desk. Liquid tags for inserting personalized details into messages is one step to making messages feel relevant. Using user behavior data to craft your messaging strategy helps your messages feel personalized to that reader. It’s a strategy that scales, even though it feels one-to-one. Behavior: User hasn’t ordered from you in 14 days. SMS: It’s been a while since you ordered from us! Your next order is 50% off. Behavior: User is about to hit their cap for widgets. SMS: You’re about to run out of your allotted widgets for the month! If you want to keep using our tool, upgrade now or wait until the next billing cycle. 2. Timing: Is this exchange urgent? When it comes to messaging, timing is everything. In a study conducted by Dr. James Oldroyd of MIT, researchers found that real estate agents who contacted inbound leads within 5 minutes of receiving their information are 100 times more likely to hear back from them.That’s why real estate company Trulio started using SMS to talk to leads. As soon as the agents received information from new leads, they sent them an SMS, and the response was way higher than when they had used email. SMS messages, as a medium, conveys urgency in a way that email doesn’t. Airbnb does the same thing for people who are renting out their homes. Unlike Trulia, where users are professionals, Airbnb hosts are often people who aren’t doing this for their livelihood. 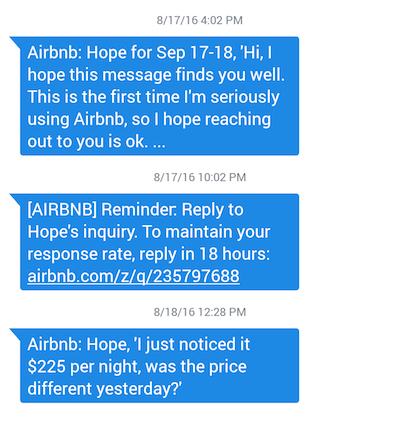 As users may not be actively in the app all the time, Airbnb uses SMS to guide users back into it for time-sensitive situations and even explains the importance of timing for their success as an AirBnb host. By writing “To maintain your response rate, reply in 18 hours,” readers know that there’s a clock ticking, and that they’re risking something by not responding. Since Airbnb does a good job of succinctly conveying urgency and a next step, the text doesn’t feel spammy—it feels important and merits taking action. 3. Call to Action: What is the reader supposed to do now? Starbucks has had success with SMS for years now, largely because of their strong calls to action. They’ve been using the technique to great effect, engaging their customers with exciting text messages like pop quiz questions that, if answered correct, resulted in a Starbucks coupon. The Pumpkin Spice Latte example is no exception. It had a really strong call to action that Starbucks knew was aligned with something the user wanted: insider access to a limited-edition favorite. 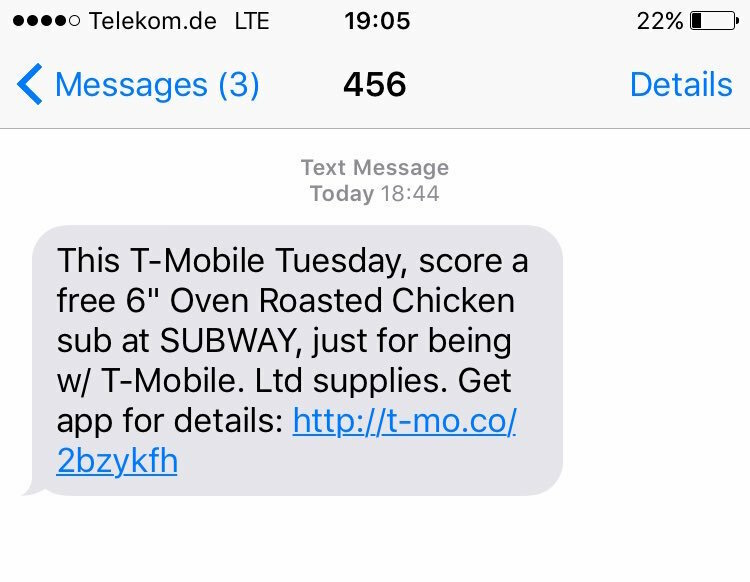 When SMS messages have strong CTAs that align with customer desires, they’re much more effective. Customers need a little guidance when it comes to knowing what to do next. Thats why SMS communication, even though it’s really brief, needs to illuminate a clear path. By gently suggesting what the reader should do, they encourage behaviors that will make the reader more successful Facebook Messenger users. People don’t always feel comfortable responding to marketing SMS messages, so offering prewritten answers for an SMS keyword response interaction can be helpful. 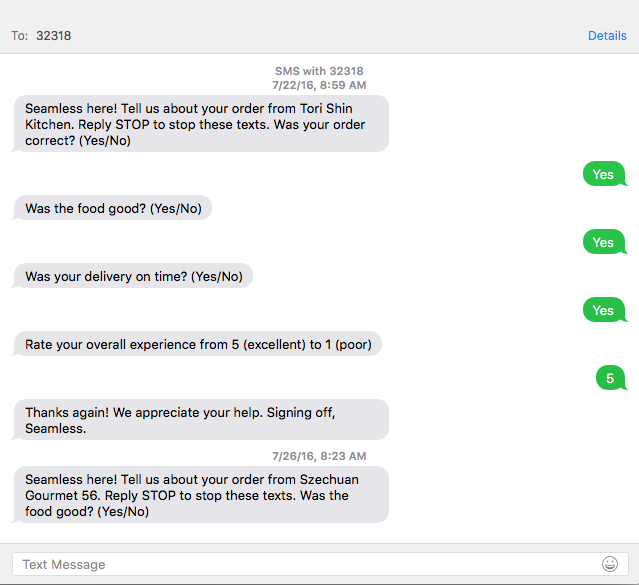 That’s exactly what Seamless does here, where they tell users exactly how they can respond. For certain questions, they give a simple “Yes” or “No,” and for others they rate the service on a scale of 1-5. By eliminating any uncertainty regarding how they’re supposed to respond, Seamless removes all friction from a 2-way interaction. SMS can be a stand-alone messaging strategy, but it makes sense to couple SMS messages with other channels like email. Some important rules of thumb to consider include avoiding bombarding people with messages, delivering messages according to user preferences, and formulating an approach that considers multiple channels holistically. 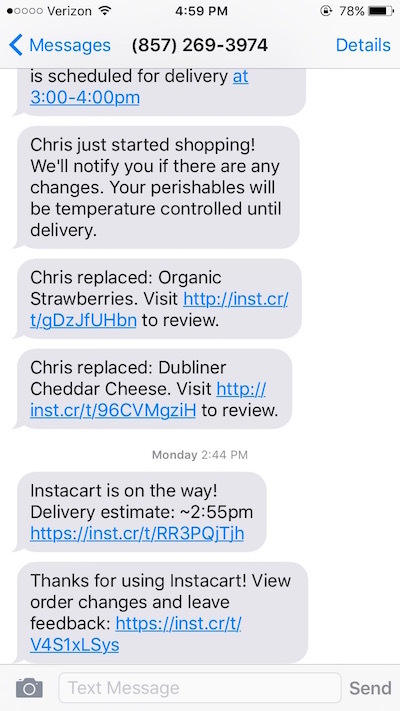 The food delivery service Instacart sends customers both email and SMS, which combine for an overall great experience. They use the channels to serve up different kinds of messages with purpose. For instance, let’s say I use Instacart’s service without having the app installed or push notifications turned off. Here are the types of SMS messages they send: alerts and notifications about the status of my order. News of replacement items, especially, are important do deliver via SMS so that I can review them quickly. 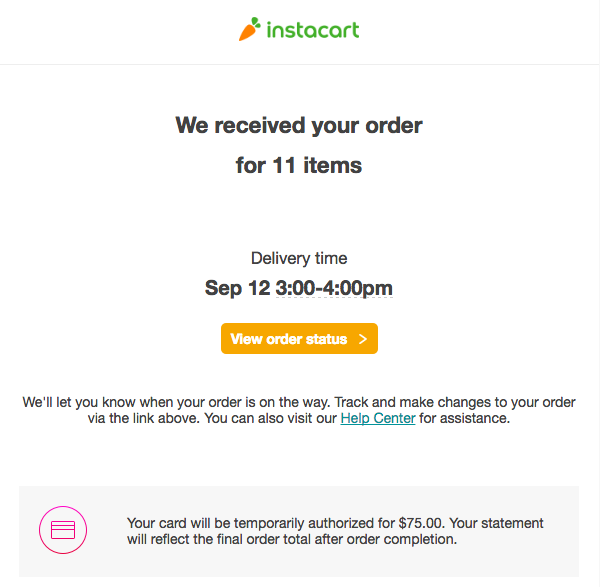 Instacart sends me order confirmation and receipts via email, which are types of messages that can be asynchronous. Plus the format of emails are best for confirming details and record-keeping, since they’re longer form, searchable, and archivable. Emails also allow for extra engagement opportunity. 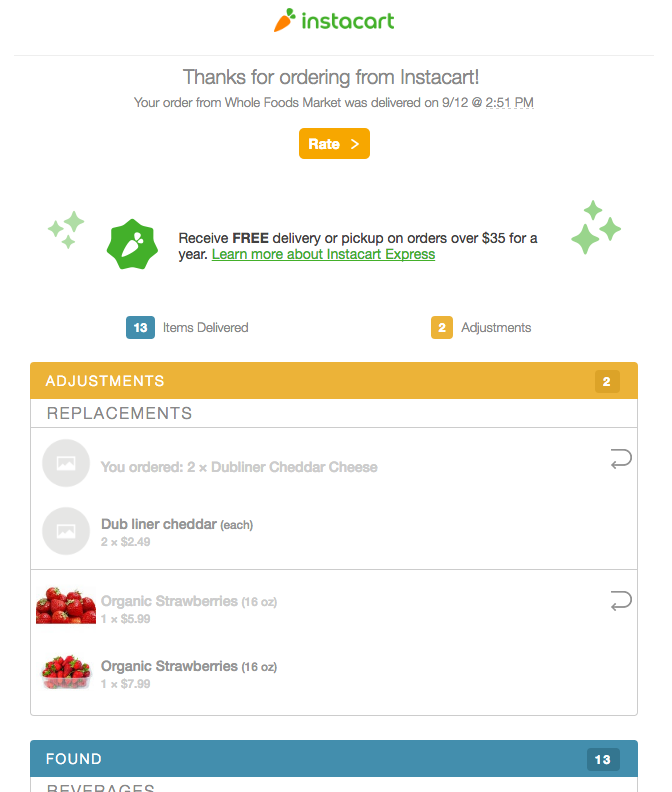 This email, even though it’s primarily transactional, is able to convey a quick call-to-action for Instacart Express. It doesn’t feel salesy, because you know that this recipient just got value out of your app. It’s relevant and well-timed. If an SMS is over 160 characters, your message will get broken up into a bunch of texts, which comes across as spammy. That’s why SMS is awesome for conveying information when it’s really urgent, but email can be better for communicating a lot of information. When a customer hands over their phone number and agrees to receive SMS, they’re putting a lot of trust in you. It’s your responsibility to show them the same level of trust and respect—it’s what your customer relationships are built on. Scaling trust with customers is important for email marketing, but even more important for SMS. Keep delivering them messages that are relevant and well-timed, and you’ll build a great relationship with your customers. 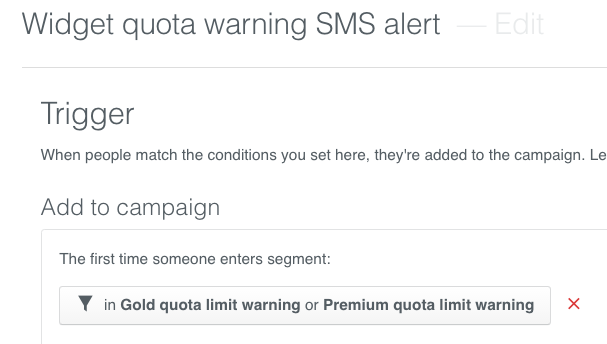 We’re so excited to introduce the new Twilio Action for adding SMS messages to your Customer.io triggered campaigns! Learn more about the new Twilio SMS Action!